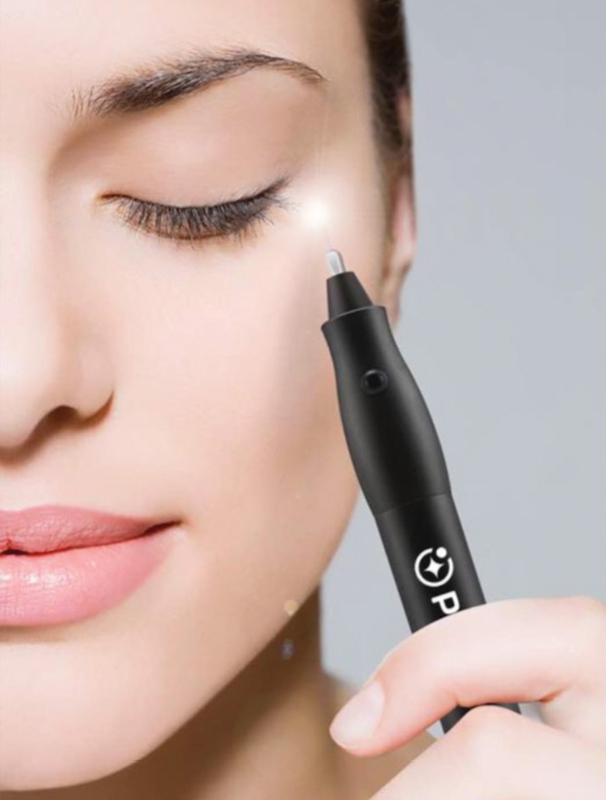 So we always try to stay ahead of the good and bad in the beauty business, one of the newest device treatments is called a Fibroblast or Plasma Pen treatment. So here’s the downlow on these devices and all the dirty details about how to get a safe, legitimate treatment (also whether or not it might be safe for YOU!). Make sure you read all the way to the bottom about scary versions of this technology! What exactly is a Plasma or Fibroblast treatment? Plasma is a gas made up of positively charged ions from the air. It’s generally created through a cloud of gas (mostly nitrogen) that is magnetized into a beam transmitted from the device. 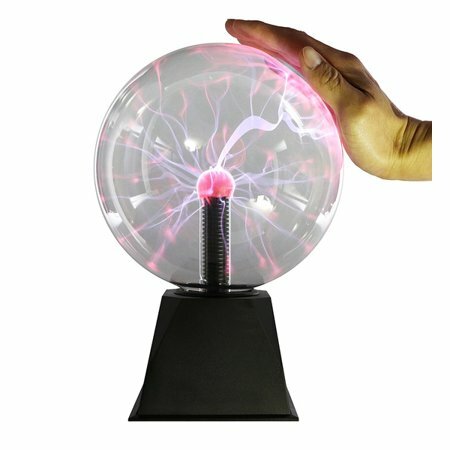 Picture those fun electric balls you have seen as a kid and how it jumps from the base to your finger as you touch the glass. How is Plasma gas used? Places like fluorescent light bulbs, neon signs and plasma televisions. And now, also as a beauty treatment to reduce aging! How do these beauty pens create Plasma? Electric energy converts gas from the air into “diatomic molecular nitrogen,” mostly oxygen and nitrogen. 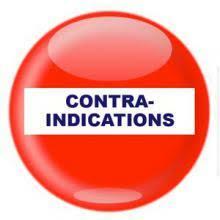 It is then transmitted to the skin’s surface in a non-contact way. It literally will not fire if it’s too far away or if it touches the skin. What does Plasma do for you? Plasma heats and disrupts all the way down to your dermal layer of skin to create micro-trauma to the tissue. The surface is lightly ablated with a “fanning” technique, at which time the technician creates the little dots in the tissue. Those dots are tiny blood clots with a small scab over the top, which means that unlike with CO2, the tissue is completed closed. This prevents the likelihood of infection risks, making it safer even than Microneedling. This damage especially targets the “fibroblasts” in the inner part of your dermis. I know, lots of biology here… but keep reading! Why do you care about Fibroblasts? Do you remember when you were younger and your face was supple and rounder than it is now (regardless of your age)? That all comes from this beautiful collagen called type I. It’s a collagen you have TONS of in your youth but is slowly replaced by type III collagen over time. Picture type I collagen as well organized, supple and hearty, while your type III is loose, disorganized and smooshy. When you stimulate fibroblasts, they get to work creating white blood cells to repair the tissue damage on the surface and recreate lots of nice, healthy collagen type I, transforming you back to your youthful self! They won’t do this work on their own. Most of them lay dormant until you have a wound that needs repair, so the plasma gas actually creates their activity. How does it outperform CO2 or Ablative Lasers? 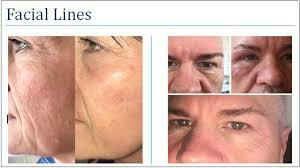 It is a much more predictable result that ablative lasers, and it doesn’t create unnecessary damage. 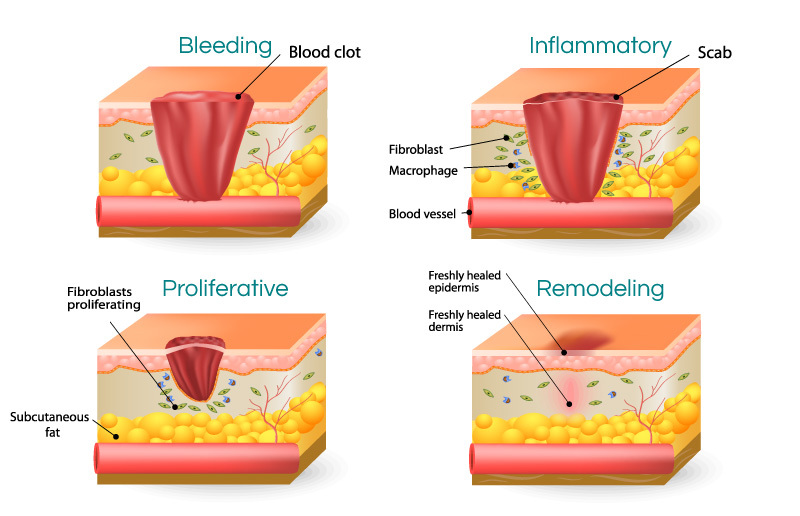 Fibroblast services truly targets the tissue that needs repair and takes care of it. They are also far less risky because the tissue is closed immediately so there’s less chance of infection or permanent damage. Who is the treatment NOT safe for? I have to say, if you’re not properly screened for this service, that’s how you may end up with permanent damage from the treatment. 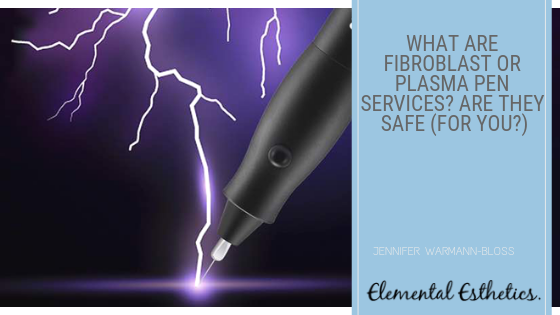 There are many reasons that a person should not have a Fibroblast or Plasma Pen service. Because of this, it is CRITICAL that you see a trained professional. Anyone using a knock off version may not know who its safe to treat and who isn’t safe. What is the recovery process for the Plasma Pen? Please note: the recovery process for any individual can vary, so this is just a general guideline. For proper expectations, make sure you discuss this with your personal technician. Plasma Pen/Fibroblast can be a mildly uncomfortable service. There is quite a bit of numbing done in a proper process (just creams put on the skin, no needles!) You will arrive and have the numbing cream applied, then lightly ablated. This first part is very simple and not that uncomfortable. Then a second numbing will be applied to the area before the dots are created. Most people feel a little during the dot process but it isn’t bad at all. This is done quite rapidly and is only felt as each dot is created. There is no discomfort after the procedure is over. The area does feel tight but that is all. The dots are tiny little scabs on the area. They don’t hurt at all but can itch a little bit as they heal. Using the products provided to your post treatment can really help with that. The scabs begin to lift between day 2-3 and they darken up a bit. If you are a picker, do whatever it takes to keep yourself from picking the scabs off!! Other than mild itching and tightness, there is no other discomfort. Somewhere in this window of time the tiny scabs will fall off, leaving tiny pink dots behind. The mild itching is mostly gone now and once the scabs fall off, you can wear full makeup again. 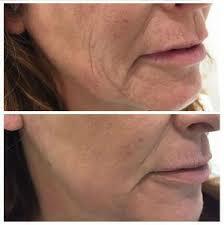 The tissue surface continues to heal but the real remodeling of collagen is just beginning. It takes 12 weeks for full healing and result! 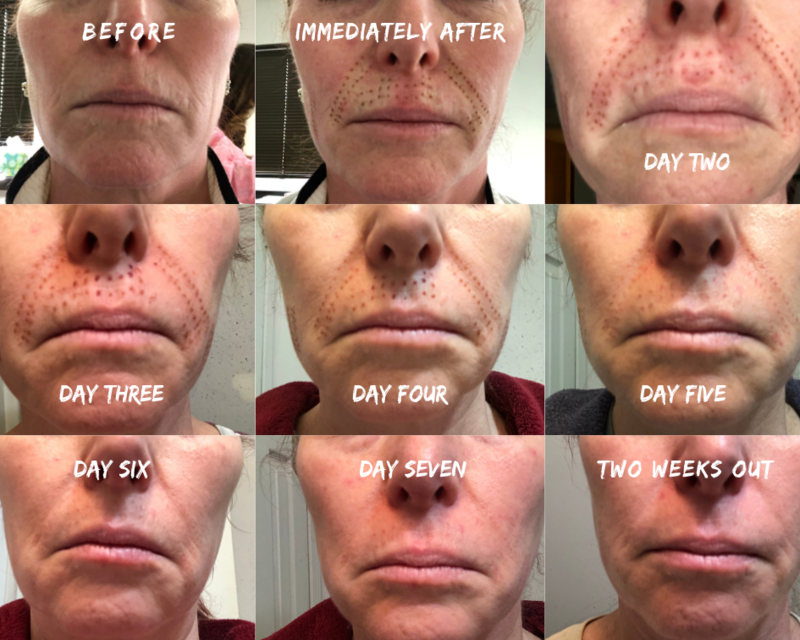 By day 7, the average person will see a noticeable difference in their wrinkling. 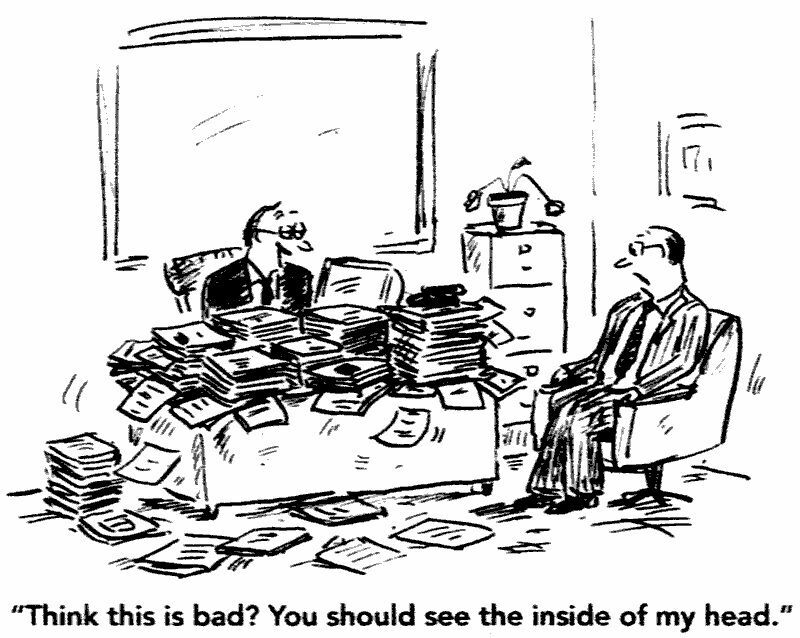 Certain health issues and medicines can delay results in some clients. Plasma Pen results last between 2-5 years with an average result lasting 3 years. So like everything else, there’s going to be a scary, inexpensive or Grouponed version of this service. The best reasons to read this article in full are listed below! The Plasma Pen is a German engineered device released very carefully into the United States. It is state-of-the-art technology that provides consistent, reliable treatments. The risk of either a bad OR damaging treatment is very low with this device. This is the ONLY plasma/fibroblast pen we recommend! Additionally, the company that distributes the device is extraordinarily ethical. They are making sure that ALL users of the pen have thorough, hands-on training before working on clientele (this is not a common theme in the beauty world… if you want to read about what some practices do… go here…). If a user does not follow the rules of the training, the company no longer provides the heads needed to do the procedure! All of this makes sure your treatment is in capable, educated hands! There are a TON of Chinese production knock offs of this device. They are very, very cheaply made. They are purchased online and come with little-to-no training. Additionally, they are unreliable and can cause serious and sometimes PERMANENT damage to your skin. It is CRITICAL when scheduling this service that you get the answer to the question: What brand of pen are you using? What can go wrong with the knock offs? The technician is UNTRAINED and drilling holes in your skin. That alone is the scariest thought. They can put the holes too close together, causing a risk of wounds and sores and open tissue that’s unprotected. This can lead to infection! They can put the holes too far apart or not in the right spots making your downtime a waste and leaving you with very little result for your treatment. They can create the spots at too short OR too long an interval, creating permanent damage or again making it ineffective. The discounted prices for these services are NOT worth the potential headaches of permanent damage. Additionally, without training, insurance companies WILL NOT insure these technicians without certification, meaning you will have little recourse if permanent damage occurs. These are single treatment before and after pictures. 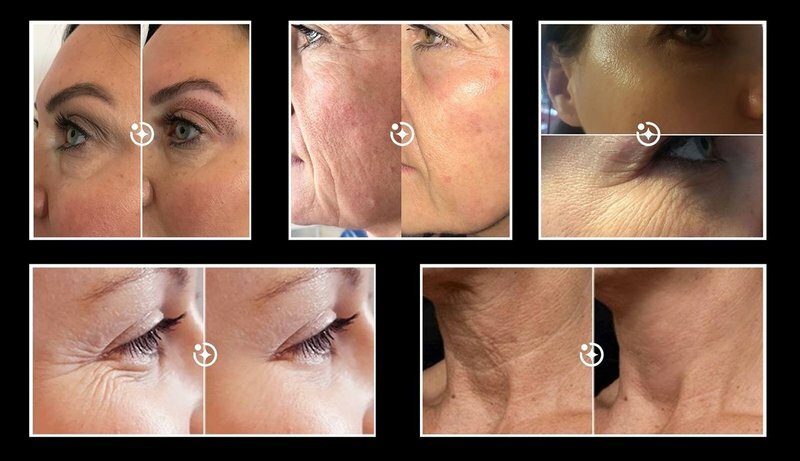 So, in summary, Plasma Pen/Fibroblast Treatments can be an amazing and effective tool for long-lasting rejuvenation and resolution of wrinkles and laxity on the face and body. But they must be done with a great device and in the hands of a trained professional!